adidas would like to remind you that the KOTR 2011 Kick-Off is this coming Monday to Wednesday, October 10-12 from 11am to 11pm at the NBC Tent at the Fort Bonifacio Global City. Come collect your race pack during this time. Do note that it is mandatory to collect your race pack in order to participate in the race. There are running clinics, talks for runners, selling and sampling booths, games, and raffle, so we encourage all participants to drop by. The KOTR 2011 Kick-off is open to the public so please feel free to bring family and friends. Read on to ensure smooth race pack collection. Collecting race pack for yourself:Find the lane for your category, fall in line, and present your KOTR confirmation letter and the valid ID that you used for the registration. No requirements or incomplete requirements, no race pack. Collecting through a representative:Should you be unable to collect your race pack personally, you may allow someone else to collect on your behalf. A representative should present an ID, authorization letter issued by you, attached with your (participant) KOTR confirmation letter, and a photocopy of the ID you used for registration. No requirements or incomplete requirements, no race pack. Representative should locate the lane for your category and queue accordingly. 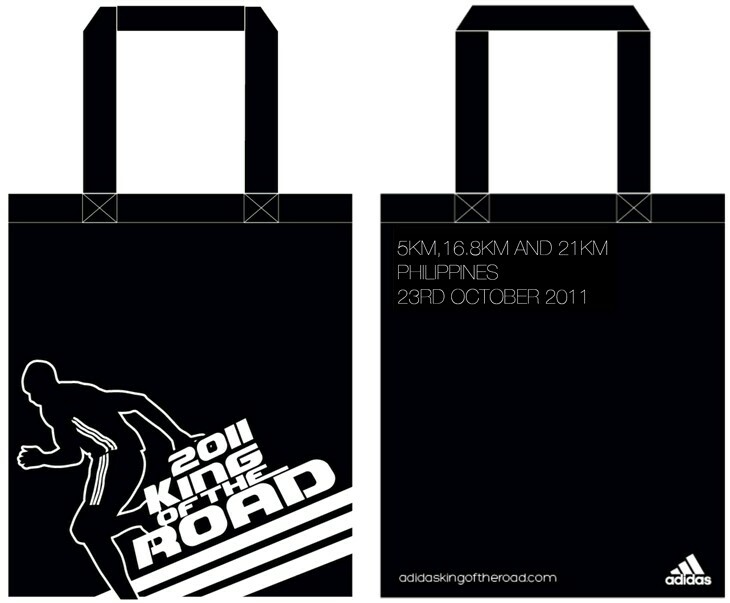 Collecting bulk race packs:For group race pack collection, please double check to have all your requirements intact. Please bring authorization letter, attached with the corresponding KOTR confirmation letter, and photocopy of each valid ID used for registration, strictly for each participant whose race pack is being collected for. Find the lane for bulk collection and queue accordingly. No requirements or incomplete requirements, no race pack. Collecting for minors:Minors (participants below 18 years old by 23 October), please present your confirmation email, and the valid ID that you used for registration. Please take note that a signed Parental Consent and Indemnity Agreement, and a photocopy of ID of the parent/guardian are required as well. If you are outside Metro Manila:All participants from the provinces and overseas who are unavailable for the Kick-Off may claim their race packs on the race day at the Bonifacio Global City on Sunday, October 23, 2011 from 3am-4am only. Please present your KOTR confirmation letter and valid ID used for registration. No requirements or incomplete requirements, no race pack. If you registered through Free Run Promo:Please expect delivery of your race pack on or before Oct 21. Come down to NBC Tent to participate in the side events at the Kick-Off, too. * adidas Reserves the right to amend all of the above stated at its discretion.